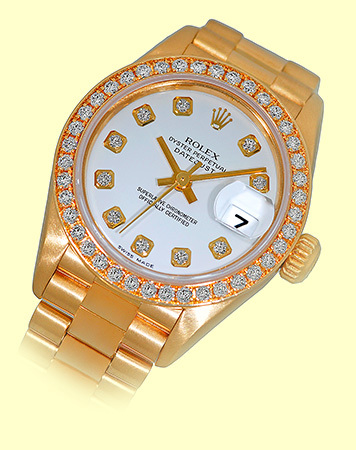 Factory Rolex White Dial set with Diamond Hour Markers, Yellow Gold Hands, Center Sweep Seconds Hand. 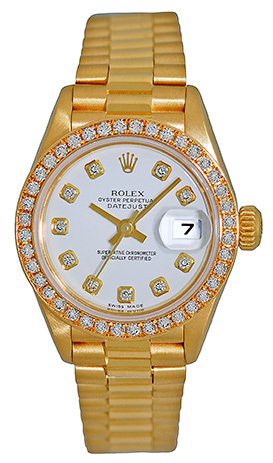 Factory Rolex 18K Yellow Gold Round Bezel set with Diamonds, Date Indicator, Quickset Movement, Sapphire Crystal. 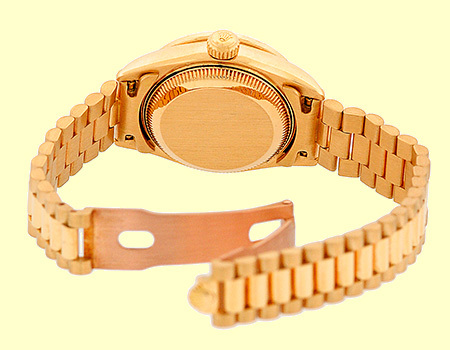 Matching 18K Yellow Gold Rolex "President" Concealed Folding Crownclasp Bracelet. P Serial Number, Circa 2000-2001 Production. 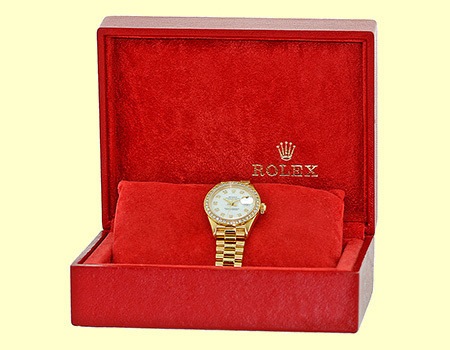 Certified Pre-Owned, Like New Condition with Rolex Box, Booklets, Hang Tag and complete with Capetown's Lifetime Warranty!! Remember, If we're shipping anywhere outside the state of Georgia, you stand to save even more! At this time, as long as we ship out of state, we are not required to collect sales tax at Capetown. Legitimate Tax Savings of up to 10%! 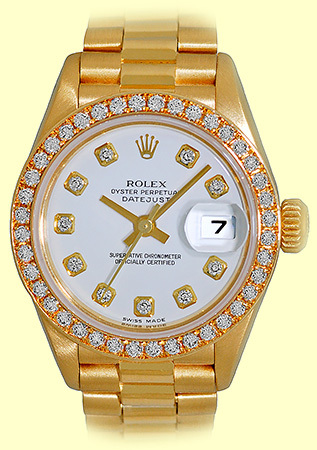 Click here for the benefits of buying your new or pre-owned Rolex at Capetown.